The service will contact a local towing company to take one person at a time to their final destination, along with the car they arrived in. "This is a free community service which aims to keep drinking drivers off of our roadways," said AAA spokesman Doug Shupe. "According to the Texas Department of Transportation, last holiday season, from Dec. 1 through Jan. 1 there were more than 2,300 alcohol related crashes which resulted in more than 100 fatalities and 200 serious injuries." 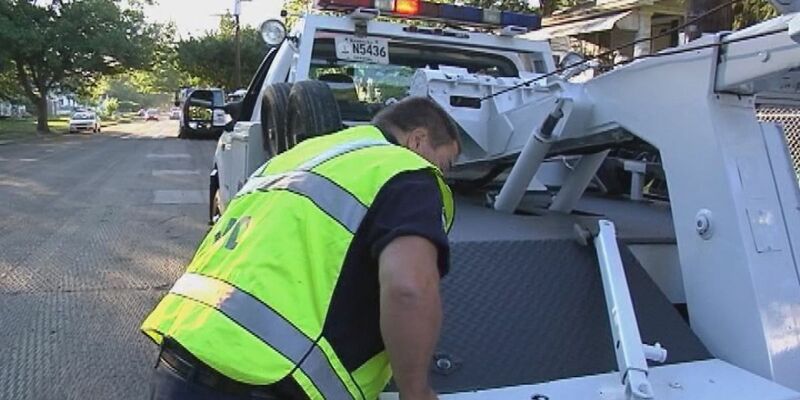 AAA is encouraging the public to use this service in extreme measures. If you find yourself or someone you know stranded with no other alternative to get home safe, Tipsy Tow will provide your transportation. "We encourage everybody before you celebrate this holiday season, talk with your friends, family, neighbors and coworkers about ways to prevent drunk driving," said Shupe. "Regardless of how little that you have had to drink or how little of a distance that you think that you have to drive, do not get behind the wheel after consuming any amount of alcohol." Tipsy Tow is free for a one-way towing service for 10 miles or less from the pickup destination. For those who need to travel further than 10 miles, charges may apply with the towing company. To contact Tipsy Tow all you have to do is call 1-800-222-4357 or 1-800-AAA-HELP. The operator will then ask for both the pickup and drop-off locations and the model of the vehicle needing to be towed. "It's for anybody who's out there and finds themselves in a position that they need someone to help them get home and they don't want to leave their car behind for any reason," said Shupe. "Again, you should plan ahead and have alternate transportation, a safe place to stay overnight or a non-drinking designated driver ahead of time." This service will be available Dec 31. from 6 p.m. until 6 a.m. on New Year's Day. You do not have to be an AAA member to be able to call for the Tipsy Tow service.